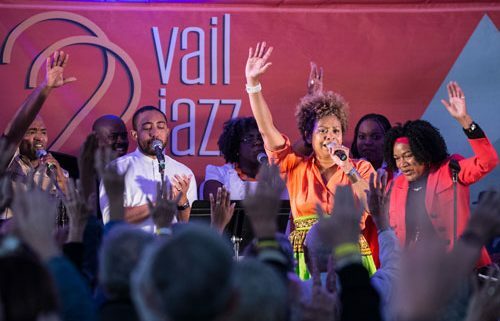 Niki Haris once again conducts one of our most popular Vail Jazz traditions—our annual tribute to the huge contribution that Gospel music has made in shaping jazz and lifting spirits. Now a Sunday morning institution, this standing-room-only affair features world-class musicians and vocalists, with hand clappin’, spirit liftin’, look to the heavens exhilaration. As always, Nikis and a host of jazz ringers are joined by the Mile Hi Gospel Ensemble.